How will India get impacted by trade war between the US and China? Trade deficit could be the big casualty in the Indian context. India has already seen its monthly trade deficit approaching the $15 billion mark in the last few months. The current year could see full year trade deficit at over $200 billion and imports at well over $600 billion. 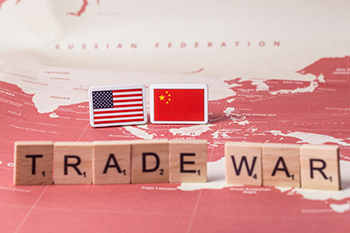 The whole idea of a trade war began when US President Donald Trump decided to unilaterally impose a tariff of 25% on steel imports into the US and a tariff of 10% on aluminium imports. While this was intended at all countries, it soon became obvious that the target was China. After all, the US ran a trade deficit of $375 billion with China, which had gone up from a zero deficit situation in 2001. Obviously, that was hitting the US authorities where it hurt. While the US imposed tariffs on Chinese imports to the tune of $50 billion, the Chinese have already retaliated by imposing tariffs on US imports to the tune of $3 billion with immediate effect. Additionally, China has laid out a timetable of tariffs on US imports progressively. The targets will be obviously products such as soybean, apparel, cars, aircraft etc. The idea is to squeeze US jobs and the US farm sector. Trade wars have never been good news for world economy. The last time the world saw trade war was in the 1930s when countries had tried to boost their trade surplus. The result was a massive slowdown around the world, which eventually resulted in the Great Depression of the 1930s. In the last 80 years, there has never been an attempt at a full-fledged trade war. For India, there is no recent memory of a trade war, at least since its independence. So what does a US-China trade war hold for India? The sharp crack in commodity stocks in the immediate aftermath of the trade war announcement was due to growth fears. The IMF has already warned that the projected global growth rate at 3.9% for 2018 could be negatively impacted by a trade war. The reason is quite straightforward. As imports become more expensive due to a trade war, manufacturers will find it increasingly hard to manage their margins and this will force a slowdown in output. As more and more countries impose tariffs, higher import costs will get transmitted seamlessly. Trade deficit could be the big casualty in the Indian context. India has already seen its monthly trade deficit approaching the $15 billion mark in the last few months. The current year could see full year trade deficit at over $200 billion and imports at well over $600 billion. The forex reserves may be adequate to cover just about 9 months of imports. A trade war will widen the trade deficit, make imports more expensive and reduce the forex cover. A logical corollary of this wider trade deficit and higher import prices will be imported-inflation. What do we understand by imported inflation? When inputs get costlier, it gets imputed into the final cost of manufacture in the form of higher cost of production. That adds to producer inflation, and this trend is already obvious in many countries. As inflation moves higher, we could see a sharp fall in the domestic purchasing power and that could further depress the real rate of growth. When inflation moves up, it has the tendency to push up the inflation expectations. Normally, inflation expectations are the key to interest rates and as a result the RBI may be constrained to increase the repo rates. With inflation going up across the world, we could see a situation where the global bond yields start moving up and the RBI may not have much of a choice except to raise rates sharply to prevent capital outflows. The INR could come under pressure in the global currency markets. There is a limit up to which the RBI can manage the rupee. Normally, trade wars tend to degenerate into currency wars. That is because as every country starts imposing higher tariffs on imports, they also try to boost exports by weakening the currency. While it starts as a defensive exercise, it eventually turns into a currency war. A sharp depreciation in the INR could trigger risk-off capital flight. That is not a great situation as we saw in 2013. Last, but not the least, India could risk corporate bankruptcies as an outcome of these trade wars. Indian companies could get squeezed between two extremes. On one hand, prices of inputs will go up due to higher import costs. The companies will either have to pass on the burden to the customer (which may not be possible in most cases) or absorb the costs. That will hit the margins. At the same time, higher interest rates will push them closer to financial vulnerability. This will be more so for high debt companies. It is hoped that wisdom prevails and we do not see a full-fledged trade war. India can hardly afford a slowdown in growth at this stage!